in Budapest from May 10-12. These 3 days are created for you in an amazing city Budapest organzied by Tango Studio Budapest. It's an extraordinary weekend with an extraordinary competition and more: workshops and tango shows with the most professional tango teachers. This competition is about the extraordinary couples. About extraordinary communication. About extraordinary relationships. You can register as a competitor or only as a participant of the workshops, milongas If you feel like being a competitor, don't worry about the partner. During the competition you will have several partners, just like on a milonga. To make it exciting for you as well as for the audience, we will draw the couples by lot for each tanda. In the semi final not only you will score your partner but also the audience will evaluate the participans. In the final scores will be given by you, the audience and a professional jury. For details please surf the site, and feel free to contact us in case of any ambiguty. 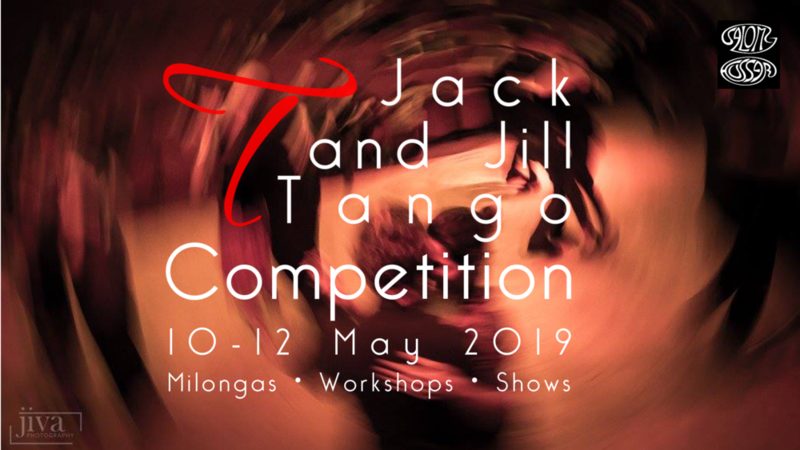 JACK & JILL TANGO HÉTVÉGE MÁJUS 10-12 KÖZÖTT BUDAPESTEN! Mindegy, hogy mióta tangózol, és mennyi figurát ismersz. A workshopok és a milongák mellett újra itt a verseny, ahol csak az egymásra hangolódás számít. Napközben a tangó nagy mestereitől tanulhatsz: Antonella Terazzas és Fernando Galera is tart workshopot.És természetesen mindkét este Milonga!